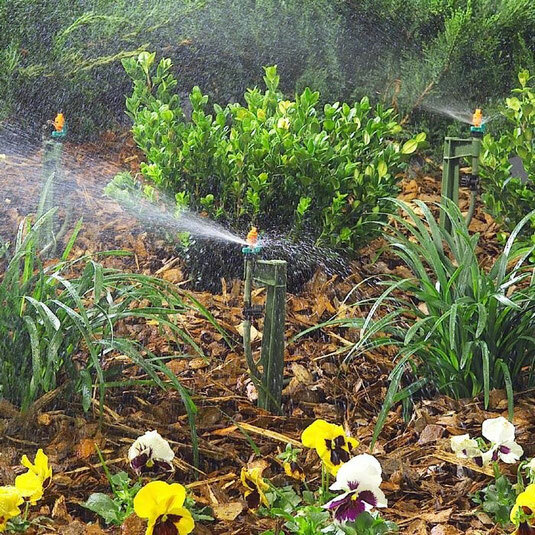 This is a scaled down irrigation system which can be connected into an existing system or for small areas be connected to a faucet. Ideal for new planting and plant beds it gets water directly to where it is needed by drip holes in plastic tubing above or below ground or by installing small sprays close to new plants. Check your systems at least once a month as this will highlight any problems that maybe occurring. Water is expensive and we can ill afford to waste any and run up expensive bills, therefore it is imperative that the water we do use is being used wisely. If you are unsure on what to do, please give us a call on (407)456-1369 and we will come out and test the system for a service fee and provide an estimate for any repairs that may need to be carried out.